Greetings from The 88 Project! We are bringing you news, analysis, and actions regarding human rights and civil society in Vietnam during the week of January 14-20. Activist and former teacher Dao Quang Thuc’s 14-year sentence was reduced to 13 years on appeal this week. This week also marked anniversaries for many political prisoners, including two years since Catholic activist Nguyen Van Oai was arrested, nine years since pro-democracy blogger and entrepreneur Tran Huynh Duy Thuc was tried and handed a 16-year sentence, and also nine years since religious advocate Rmah Hlach was sentenced to 12 years. Three people visiting a memorial to fallen soldiers of the former South Vietnam were harassed this week, four people were detained for 30 hours for protesting toll fees, and community members in Loc Hung affected by recent forced evictions submitted a petition to the government. In international advocacy, you can prepare yourself for Vietnam’s impending Universal Periodic Review, which starts on January 22, by reading submissions to the UN, as well as Human Rights Watch’s World Report 2019 chapter on Vietnam. Ahead of the UPR, a group of international organizations have sent a letter to the EU, calling for a delay in ratification of the pending EU-Vietnam Free Trade Agreement. In the news and analysis section, read about artists’ reactions to Vietnam’s Law on Cybersecurity and the long-running land dispute between Vietnam and the Catholic Church. In case you missed it, in this edition, we are highlighting the female activists who received the longest prison sentence in Vietnam in 2018. And coming up in the week ahead, six political prisoners face their appeal trials, including Luu Van Vinh, who was sentenced to 15 years in prison for his role in protests and forming a pro-democracy group, and Do Cong Duong, who was sentenced to nine years for his work against corruption and land rights violations. Please take action for Michael Nguyen, a US citizen who has now been detained in Vietnam for six months without charges. On January 17, The High People’s Court of Hoa Binh Province held an appeal trial against Dao Quang Thuc. In the first instance trial, he was sentenced to 14 years of imprisonment and five years of probation for “carrying out activities aimed at overthrowing the people’s administration.” At the end of the appeal trial, the Judge reduced his sentence from 14 years to 13 years in prison. Thuc is a former teacher who was originally arrested in October 2017 for online postings and peaceful participation in protests over the environment and territorial disputes with China; his family alleges he was mistreated, and even tortured, while in pre-trial detention. This week, we remember Catholic activist Nguyen Van Oai, who was arrested two years ago, on January 19, 2017. Prior to arrest, he was active in the Vietnamese labor rights movement and protests against Chinese relations with Vietnam. He has also blogged on social and political issues. He was originally arrested in 2011 and sentenced to four years in prison. After his release in 2015, he was re-arrested in January 2017 on allegations of violating his probation and sentenced to five years. This week also marks nine years since blogger, entrepreneur, and pro-democracy leader Tran Huynh Duy Thuc was sentenced to 16 years in prison. In the years since, he has endured difficult prison conditions, including health issues, hunger strikes, and unannounced prison transfers. In November, he believes there was attempted poisoning against him in prison. He has faced worsening conditions in recent months, some believe in retaliation for his refusal to accept exile in exchange for freedom and for his attempts to use revised parts of the Criminal Code to appeal his sentence. We are also thinking of indigenous and religious rights advocate Rmah Hlach, who was tried nine years ago in Vietnam and sentenced to 12 years in prison. He’s one of 50 ethnic minority political prisoners in the country. On January 19, Nguyen Thuy Hanh, Dung Truong, and Nguyen Van Phuong went to Ly Thai To Monument to honor soldiers of the former South Vietnam (Republic of Vietnam) who died in the Hoang Sa battle on January 19, 1974. When they were on the way back from the trip, the police of Hoan Kiem District blocked them and beat Truong Dung. They only stopped beating him when Hanh shouted loudly. Finally, the police of Thanh Xuan District escorted all of them to Hanh’s house in Hanoi. After months of unrest regarding BOTs (Build-Operate-Transfers), which effectively charge drivers a toll for a private development project authorized by the state, four protesters were detained and barricaded in an alley in the most recent round of protests this week. They were held and intimidated for 30 hours. Protesters argue that the BOTs were arbitrary, placed in incorrect locations, or also collect tolls past the allotted contract times. After two days of forced evictions in the Loc Hung neighborhood of Ho Chi Minh City on January 4 and 8, which left over 100 homes destroyed and dozens — including many dissidents — homeless, those affected have begun the process of seeking redress from the government. Community members went this week to submit a petition to the government, signed by 100 families, demanding compensation and an end to the land confiscations. They also reported clearly and specifically on the origin of their land and demanded the authorities address this issue. Human Rights Watch released its World Report 2019, which includes a section on Vietnam’s increasingly restrictive civic space and dismal human rights conditions in 2018. They began the chapter on Vietnam by saying: “The Communist Party of Vietnam monopolizes power through the government, controls all major political and social organizations, and punishes people who dare to criticize or challenge its rule.” The chapter goes on to mention the twelve people tried for “propaganda against the state” in 2018 — mainly bloggers — and the five Hoa Hao Buddhists sentenced in a case of religious persecution, as well as raids against activists in private spaces, and the US’s increasingly close ties with Vietnam under the Trump administration. A group of international NGOs, including Vietnamese groups like the Interfaith Council of Vietnam and the Independent Journalists Association of Vietnam, have called on the EU to delay ratifying a proposed free trade agreement with Vietnam that is now in its final phases. The letter asks the leadership to halt any finalization of the agreement until Vietnam demonstrates human rights improvements. It references the restrictive Law on Cybersecurity, which came into effect in Vietnam at the beginning of the year, as an example of Vietnam’s continued crackdown on dissent. The petitioners call for the release of imprisoned activists and religious and democracy leaders, including Tran Huynh Duy Thuc and Tran Thi Nga, revision of the oppressive Criminal Code, and an end to the use of the death penalty, among other items. — Pham Thi Thu Thuy – sentenced to two and a half years. Luu Van Vinh (sentenced to 15 years) and his co-defendants Nguyen Quoc Hoan (13 years), Nguyen Van Duc Do (11 years), Tu Cong Nghia (10 years), and Phan Van Trung (also known as Thich Nhat Hue, 8 years) will face an appeal trial in Ho Chi Minh City on January 21. 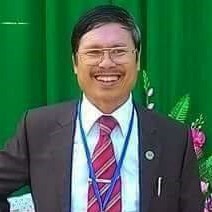 Vinh took part in environmental and sovereignty protests and founded a pro-democracy group, the Coalition for Self-Determination for Vietnamese People; his co-defendants were tried for their alleged affiliations with the group, which called for political change in Vietnam. On January 23, citizen journalist and land rights activist Do Cong Duong will face an appeal of one of his charges, “abusing democratic freedom,” in Hanoi. It has been almost a year since he was arrested for filming a forced eviction and posting anti-corruption articles and commentary online. He was sentenced to a total of nine years in prison in 2018 in two separate trials, five for “abusing democratic freedoms” and four for “disturbing public order.” His appeal of his four-year sentence has already been denied. Take action for US citizen Michael Nguyen, who was detained in Vietnam over six months ago; still, no formal charges have been announced against him. He is not permitted visits from lawyers nor family. Little information has been available about his case, even to US officials. Call on Vietnamese authorities to release him from detention by signing this petition on Change.org.